Vaping’s everywhere on campus. What are we college kids getting ourselves into? The city’s police department spent nearly $60 million in overtime in fiscal 2016, despite efforts to curb the practice. Boston Police Officer Jose Acosta has had more than his share of long workweeks. Consider the time that he put in nearly 41 hours in a little more than two days. Last August, Acosta worked overnight for a vacationing colleague and eight hours later was called in to cover for an officer out sick. From there he went immediately to another overnight shift, clocked out at 7:30 a.m, and then headed to court to testify in a 9 a.m. probation hearing. That afternoon he reported for two back-to-back patrol shifts. All told, Acosta worked more than 2,000 extra hours last year, according to department data — making him one of the 10 highest overtime earners among city employees. He earned $122,251 in overtime in addition to his $99,122 base salary. The Police Department spent nearly $60 million in overtime in fiscal 2016, despite efforts to curb the practice. But the cost goes beyond the pockets of city taxpayers. Officers who work long hours are not as alert and can be prone to making mistakes that could put themselves, their colleagues, and the public at risk, policing experts and Boston police officers say. Union rules allow officers to work up to 90 hours a week — including 50 overtime hours — but recently many officers have been demanding a better work-life balance, saying they are being forced to work extra shifts, missing out on crucial family time. 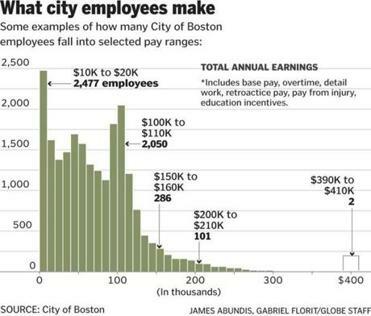 The top 100 municipal wage earners all worked for Boston police. “Our workforce [is] another year older and much more tired. Our workload has appeared to double with the amount of new assignments we are responsible for . . . ,” Patrick Rose, president of the Boston Police Patrolmen’s Association, wrote in the December edition of the union’s magazine, the Pax Centurion. Rose did not return repeated requests for comment for this story. The issue has become so pervasive that city councilors are questioning whether Boston should hire more police officers to rein in overtime spending and ensure the health and safety of the men and women on the force. Department officials have said that much of the overtime is unavoidable, with officers needed to fill shifts, appear in court, investigate crimes, and cover parades and other special events. The department has lost 250 officers to retirement in the last five years, leaving more shifts to fill, at the same time that specialized units have expanded, leaving fewer officers to patrol the streets. Department officials deny that the workload has had an adverse effect on officers, and said that new hires set to join the department in June will help ease the burden. The department has about 2,100 officers. Evans added that police overtime is also partially due to the city’s own success. The department has been under orders from Mayor Martin J. Walsh’s administration to cut down on overtime spending. Evans has slashed overtime hours by 10 percent since fiscal 2015 and has been asked to make further cuts. “We’ve been working with the command staff on ways we can save,” Evans said. Yet many officers continue to work overtime, even as the crime rate has plummeted in the city. When Daniel Linskey, the department’s former superintendent-in-chief, joined the department in 1986, he said he felt he was missing out if he did not work overtime or details — shifts in which officers are hired by public and private companies to direct traffic or provide security at construction sites or near road work. But over the past six years, younger officers have been demanding a better work-life balance, said Linskey, who said he has heard complaints from officers on the force. Supervisors and commanding officers monitor overtime closely and maintain weekly logs. The city gives each unit and police district a weekly budget. 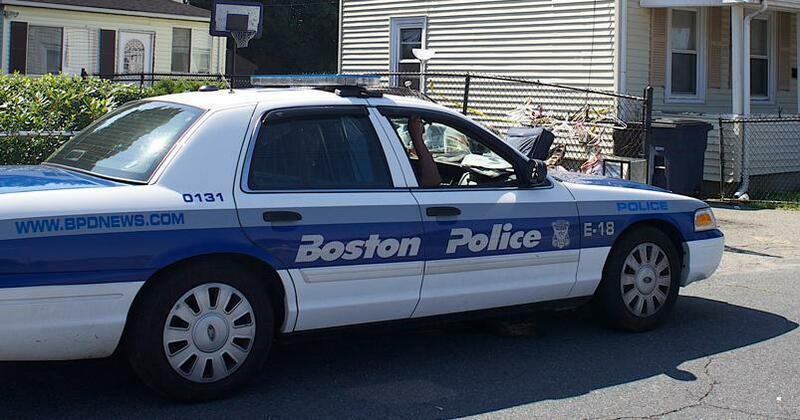 According to internal documents obtained by the Globe, many districts and units had exceeded their 2017 fiscal year budget as of February, some by over 50 percent, including the South Boston police district, the auto theft unit, and the crime scene response unit. The department’s intelligence group was nearly four times over its overtime budget as of February. Officers who work more than the allotted limit are disciplined, but department officials also said there are instances in which an officer who has worked the maximum amount of hours is still called to cover a shift. Excessive overtime “is putting guys’ lives on the line here,” said one officer. And, he said, officers sometimes miss their children’s proms, baseball games, and other life events because of the demands of the department. City Councilor Andrea Campbell, who chairs the Public Safety Committee, said she would like to explore whether the department should consider a combination of hiring more officers and reallocating staff to address the problem. “This is a conversation that needs to happen,” Campbell said. But David Sweeney, the city’s chief financial officer, said in public statements that hiring more officers would not necessarily reduce overtime because there are many factors beyond staffing levels that drive overtime costs, such as time-consuming cases and required testimony in court. Take for instance Sergeant Detective Michael J. Stratton of the homicide unit, a 29-year department veteran who spent the majority of his 1,672 overtime hours investigating murders. He earned $124,130 in overtime in 2016 on top of his $122,211 salary. Other detectives, particularly those who work in the department’s drug unit, like Sergeant Detective William J. Dwan, spend a majority of their overtime hours in court. Under the terms of their contract, officers who appear in court are paid a minimum of four hours of overtime regardless how little time they spend there. Dwan made $110,450 in overtime last year, a majority of it for court appearances. Overtime is also driven by the expansion of specialty units, which strain staffing throughout the districts, according to Linskey, the former Boston police superintendent. Fewer officers are available to patrol a city that has grown by nearly 30,000 residents over the past three years and where requests for police services remain high, even as crime has dropped. “The demands have grown, but the number of officers has not,” said McCarthy. Evans said he plans to move officers from specialized units into patrol units. He began shifting officers from the gang and drug units and from slower police districts to busier districts, according to an internal memo issued in March. “We’re looking for ways to push some officers out of some units and back onto the street,” Evans said. Department officials said officers are regularly called to work overtime to cover parades, festivals, and special events, such as the Patriots’ championship parade and the Boston Marathon, which requires substantial security since the 2013 bombing. But a review of the top police overtime earners show patrol officers are more often asked to fill in for their sick, injured, or vacationing colleagues, according to records obtained through a Freedom of Information Act request. The city spent more than $12 million in fiscal year 2016 on overtime to replace sick, injured, or vacationing officers, and an additional $7.7 million in court overtime, according to Police Department data. The department spent nearly $5.9 million in overtime related to special events in the same year. Acosta, the officer who worked more than 2,000 extra hours last year, is one example of how overtime happens. Sixty-two percent of his 275 overtime shifts, for example, were to fill in for other officers. Only 5 percent of his overtime shifts were related to parades, festivals, or protests. When searching for officers to fill overtime shifts, supervisors first ask officers with the least amount of overtime, said McCarthy. If no one accepts the overtime, officers are then ordered to work the shifts, which is not uncommon, he said, especially on weekends and during special events. The department also aims to maintain a certain number of officers at each police district to ensure officer safety. “If you have officers sick, you have to get to your minimum,” said Thomas Nolan, a former Boston police officer who is now a criminology professor at Merrimack College. That means other officers must be called in to cover the shifts, leading to overtime. According to Mark Bond, a criminal justice professor, excessive overtime can cause extreme fatigue, stress, and, in more serious cases, can lead to domestic violence, divorce, and alcoholism. Bond, along with other researchers, interviewed 200 officers in three police departments in 2014. He said tired officers make more errors when filling out police paperwork and often do not report their exhaustion or get help, he added. A 2011 study of nearly 5,000 police officers also found that 40 percent screened positive for at least one sleep disorder. Others had obstructive sleep apnea or moderate to severe insomnia. Overtime can also be addicting experts say because officers begin to need the extra pay to support their lifestyle. Jan Ransom can be reached at jan.ransom@globe.com. Follow her on Twitter @Jan_Ransom. Meghan E. Irons can be reached at meghan.irons@globe.com. Follow her on Twitter @meghanirons.